Luidja Tsirkusetalu is a magic place on the island Hiiumaa in Estonia. Here the time and space gets a different meaning, so also people and art-forms can meet in new ways. 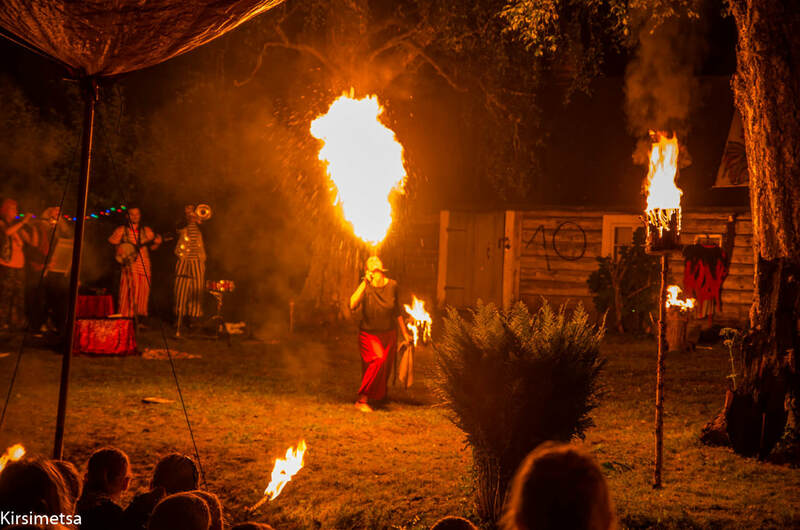 The idea was born in 2008 through bigger and smaller events, like fire-performances, circus, music and special happenings. The goal is to fill Luidja Tsirkusetalu with life, having a venue to connect artists, including the local community and making the cultural life of Hiiumaa more rich. We want to provide residency for artists, peace for the soul, and a place to create with inspiration from the ambience. We wish that everyone would find peace, inspiration and pleasant emotions from here. Come along, wonder around and be creative with us!